Hi everyone! 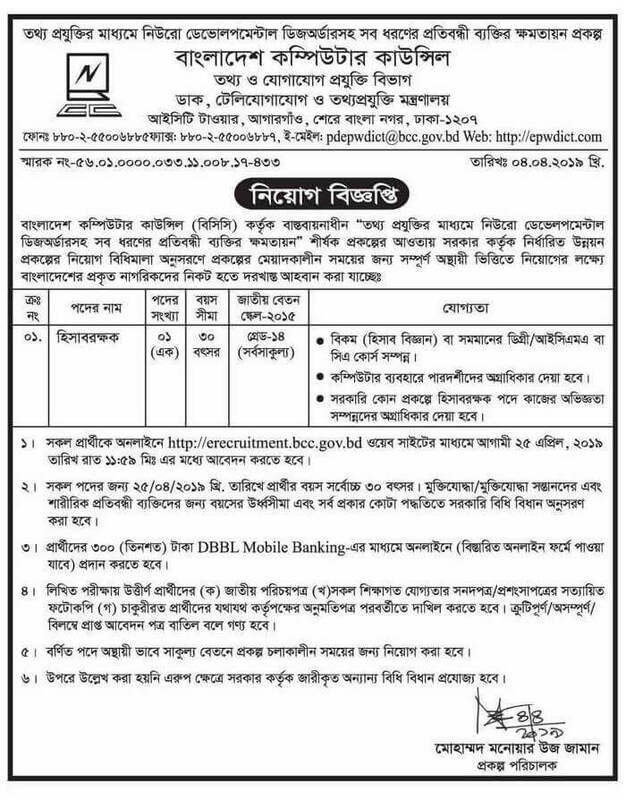 (Bangladesh Computer Council) BCC job circular. Bangladesh Computer Council (BCC) will appoint 01 people in the post of Accountants. Please apply for govt job 2019. Candidates can apply to both men and women in the posts. You can also apply if you have interests and qualifications. Interested candidates can apply online, the full details are mentioned below. Before applying for a job, please take a look at the following job notice.